In today’s economy, contractors are adjusting their business model to be more flexible. 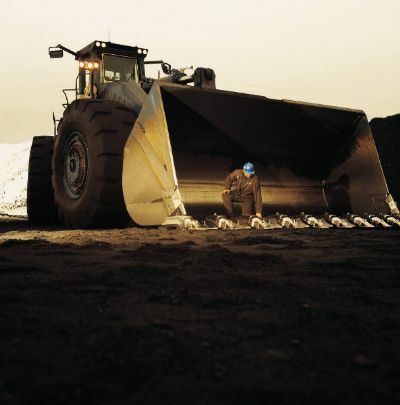 That process begins with their largest capital investment — the equipment fleet. There are signs of economic recovery in the construction industry, but contractors may still not feel comfortable investing working capital in purchasing equipment. To meet current project needs, a large segment of the construction industry is making the decision to rent equipment. Utilizing a rental fleet gives contractors immediate access to the specific pieces of equipment they need for a job when and where they need it. The rental company handles the details associated with transportation, insurance, maintenance and storage of the equipment. If a machine breaks down from normal everyday wear and tear, it’s the rental store’s responsibility to fix it and replace it or provide an alternative solution. A mistake that a lot of contractors who are new to renting make is chasing the lowest rate. While price is an important factor in any financial decision, it does not provide any guarantees that the rental store with the lowest rate will provide the necessary service if something goes wrong. Many rental stores go out of their way to take care of their repeat customers. That preferential treatment comes in handy when the crew is working on weekends or in the middle of the night and another machine is needed on the job. 1. Search for rental stores in the area where the majority of your work is being done. A rental store locator is available on ARA’s RentalHQ.com Web site. Enter the type of equipment you need and where you need it, to get a list of local ARA-member rental companies that can meet your needs. 2. Ask other contractors in the area for references and about their experience working with a particular rental store. You want to do business with a company that has a good reputation among your peers. 3. Ask the rental staff about the store’s equipment fleet. Does it match your needs? If they don’t have something, can they get it? Is the equipment serviced on a regular basis? How often is equipment replaced in the fleet? 4. Determine if the rental store is able to provide service when and where it’s needed. Since many state and federal jobs require contractors to work during off-peak commuting times, you need assurance that your rental partner can get you what you need even if it’s in the middle of the night. 5. Review the store’s rental contract. It should be straightforward with terms that meet your needs. Several rental stores also offer web portals to help you manage rental equipment on a computer, tablet or smartphone. John Redwine, principal owner of Pioneer Equipment Rental with 11 locations in Oklahoma and Texas, said trust should be the most important factor that goes into selecting a rental partner. To build trust with a rental organization, Randall Hardy, president of Construction Rentals in Salina, Kan., and two locations in Nebraska, recommends that contractors spend time visiting with and interviewing the staff behind the rental counter. Many rental stores do more than rent equipment. Hardy said his store locations also have many of the supplies contractors need on a job site. Contractors also would be wise to seek out a rental store that is a member of ARA, the international trade association for the equipment rental industry. ARA members have access to the latest equipment safety and training information and can put that knowledge to work for their customers. It’s also a symbol of a rental company’s commitment to continuously serving the needs of the customer by developing industry best practices. Todd Versteeg is technical writer with Performance Marketing, West Des Moines, Iowa.